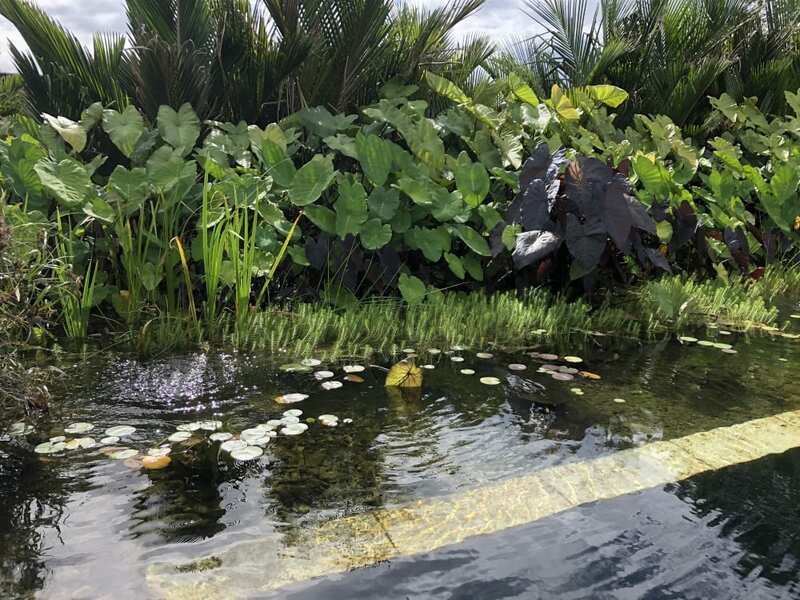 Natural swimming pools use various methods of water filtration that do not involve adding chemicals to maintain the clear, safe water to swim in. 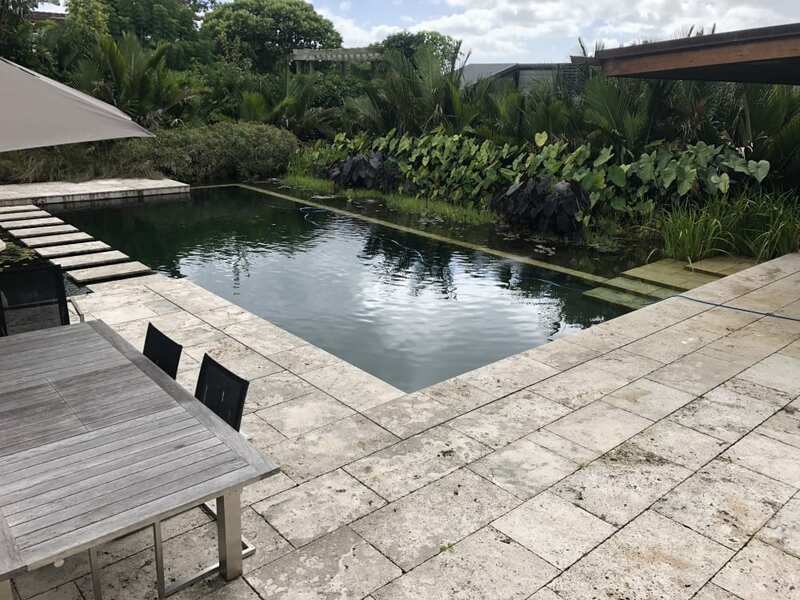 These swim ponds re-create an environment akin to that of a clear river, waterhole or creek that you can safely swim in. Imagine a swimming pool that requires no chemicals. RedFish BlueFish design swim ponds with carefully planted aquatic plants that ensure clean and pure water. This regeneration zone is usually separated from the swimming area by a dividing wall. There the aquatic plants oxygenate the water and, with various microorganisms, filter and clean the water naturally and continuously. A natural swimming pool – sometimes called a bio-pool – is specifically constructed so that can swim in pure, clear water with no chemicals. 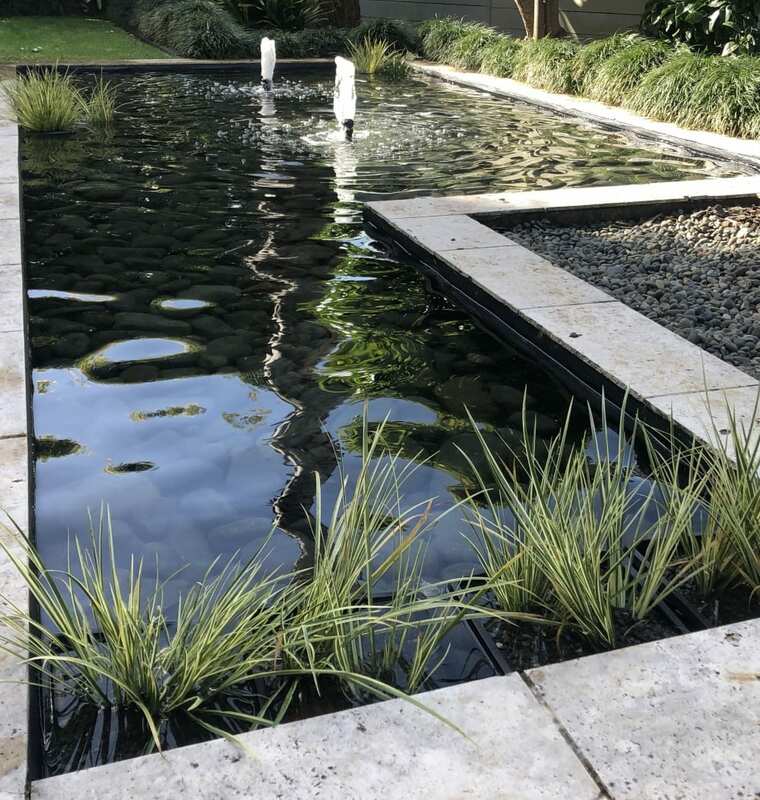 Unlike typical chlorinated swimming pools, a natural swimming pool or swim pond requires no chemical additions or monitoring, meaning the maintenance is minimal. 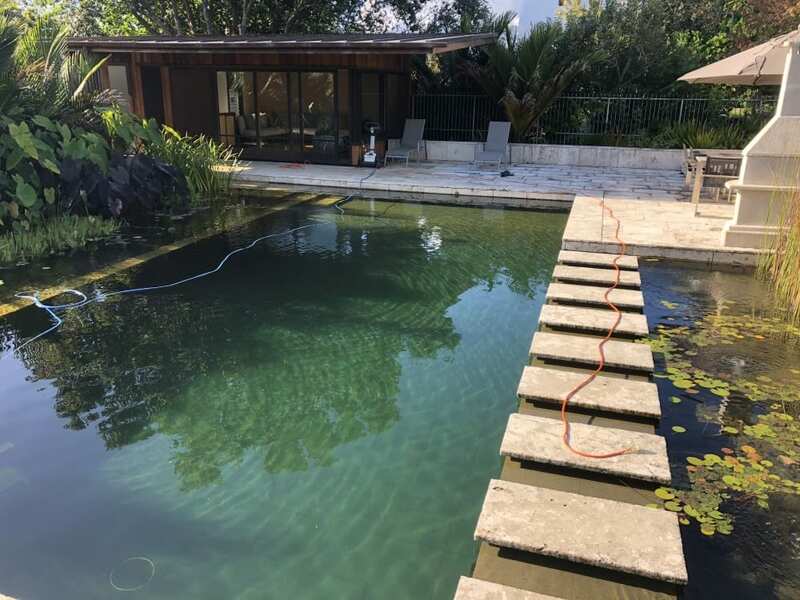 We offer a full natural swimming pool cleaning and maintenance service. This can be via a contract for regular maintenance, or you can call us for one-off cleans and upkeep. If you have a natural swimming pool or swim pond that is not looking or smelling as it should, give RedFish BlueFish a call. We will come over and analyse and diagnose the problem – you will be swimming again in no time.